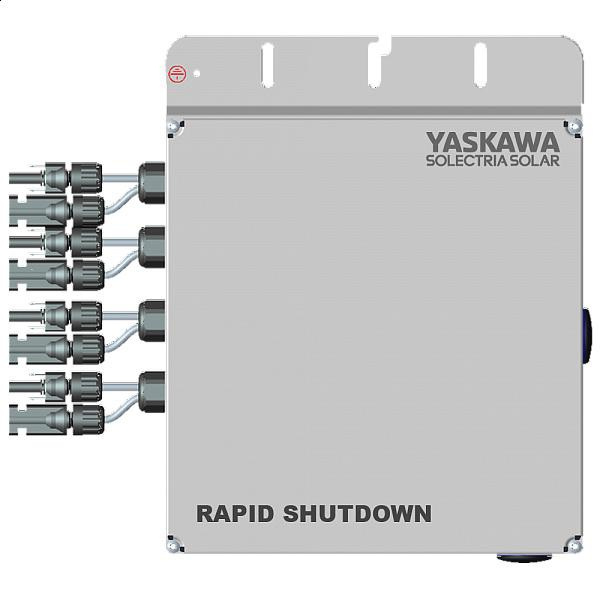 Solectria 1-Phase Rapid shutdown combiner with MC-4 prewired string inputs, requires an input voltage of 600-Volt DC. It has current rating of 20-Amps. Combiner features aluminum housing NEMA 4X enclosure for superior electrical and mechanical protection. It measures 10-Inch x 12.4-Inch x 2.2-Inch. Combiner supports operation of dual MPPT zone configurations. It withstands temperature rating of -40 to 70 deg C. Rapid shutdown combiner is UL listed, CSA certified and meets NEC standards.